My Late, Lamented Friend and Partner...It looks like another routine divorce case for Jeff Randall and Marty Hopkirk. Jeff arrives at the home of Fay Sorrenson bearing photographs of John Sorrenson's womanising. She confront her husband that evening with the evidence, and announces her intention to file for a divorce. Sorrenson, a wealthy business man has other plans for her; he has set up a hit. Marty has to cover for Jeff the next morning and reaches the Sorrenson's house, ready for a meeting with the solicitor. Arriving early, he parks behind an electricians van and waits in the study. Suddenly, Marty hears a loud scream and rushes upstairs into the bathroom. Mrs Sorrenson is slumped over the bath...dead. Sorrenson arrives home to find Marty examining a hole in the window and then talking to some children below. Marty suspects foul play. Sorrenson is agitated and convinced his despicable ruse is about to be uncovered. As Marty reaches the car-park to the flats where he and his beautiful wife Jeanie live, he is still pondering the evidence against Sorrenson. As he crosses the road, Marty is dazzled by a speeding black Humber car coming towards him. He has no time to jump clear and flings his hands to his face. Marty is mown down, all breath gone from his body. The funeral is somber and later that evening as he sleeps Jeff receives phone-calls from someone saying he is Marty. At four in the morning, Jeff's bedroom windows fly open and the curtains billow out. 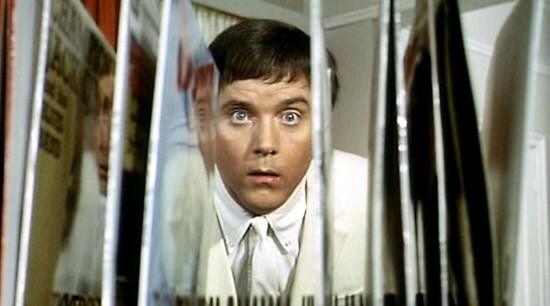 In a trance Jeff drives to the cemetery, and as he reaches Marty's grave clouded in mist, he comes face to face with a ghost dressed in white - it is Marty Hopkirk's ghost. "Why don't you stay dead like anyone else? ", says Jeff. Marty explains that Sorrenson is behind both killings and Jeff must prove it. "You are the only one who can see or hear me Jeff. I chose you." Suddenly Marty begins to fade away and has to report in! Jeff is hot on the case, and Sorrenson becomes nervous. Jeff and Marty set up a plan to blackmail Sorrenson so they can follow him to the assassins. Jeff persuades Marty to go with him, but time is running out. Marty must reach his grave by daybreak, or cursed to be stranded on the earth for a hundred years. The plan is working. They follow Sorrenson but Jeff is spotted. The enemy jump into a car and race after Jeff. Is he to pertain the same fate as Marty? It is nearly daybreak and Marty must go or face the curse, but can he leave his friend to die! Marty blows a newspaper onto the windscreen of the speeding car and it misses Jeff and crashes. The police arrive and the case is solved. But what about Marty? It is morning and back at the cemetery, Marty has been rejected. Marty remembers a ryhmme that does not allow him back into his grave because he has been out in the daylight and cannot return for a hundred years. 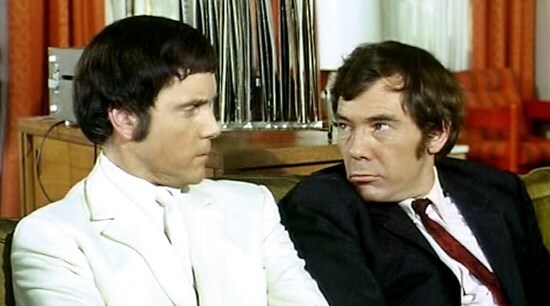 Randall and Hopkirk Deceased, is a fantastic tv series from the stable of Dennis Spooner and Monty Berman. The three main characters, Marty, Jeff and Jeanie blend so well together. There is lots of humour mainly from Marty and great action from Jeff. The series ran for 26 episodes with the last episode nearly not made. 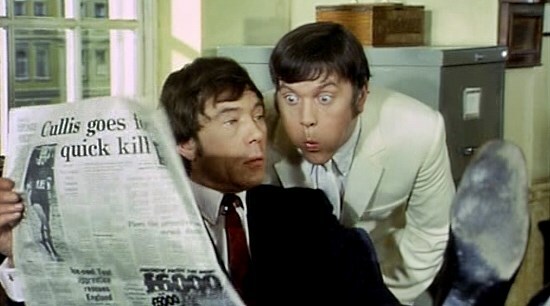 Mike Pratt who plays Jeff Randall had gone out to celebrate his birthday the night before filming, and fell from a balcony breaking both his legs. The episode had to be made, or the series could not be sold for the American market, so the script was rearranged and Jeff was laid up in a hospital bed with a real nurse on attendance. What dedication!